Vaping is one of the best and most fun ways to get rid of smoking. In a nutshell, vaping is a healthier choice since you’re just inhaling and expelling vapors. Unlike traditional tobacco products, which are rather limited in flavor options, you have the option to select from a wide range of delicious or exotic flavored liquids. Once you have a vape pen or pipe, you can customize your experience by purchasing different vape accessories. There are hundreds of vape accessories that you can find online—all with varying costs and advantages. 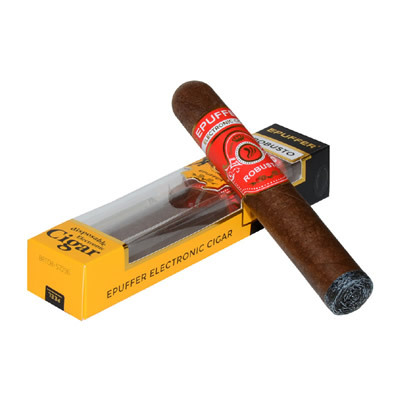 Don’t just settle—go check out E-Puffer’s elite collection of premium vaping accessories. As a rule of thumb—if your e-cigs or vaporizers are from ePuffer, don’t purchase accessories and parts from other local and less-known manufacturers. While this isn’t a rigid rule, it’s important to keep in mind that ePuffer vaporizers and spare parts must be properly synchronized for product safety. Once you’ve started vaping, you’ll realize that buying vape accessories is almost irresistible. The feeling of getting new advancements or modifications for your trusty rig is truly rewarding. It’s very similar to collecting trading cards, vintage items, and other kinds of stuff. Before hoarding accessories and spare parts though, you have to create a checklist of the things that you need. This is to avoid under-budgeting—which can strain your wallet. Also, you have to make sure that the accessories have high-level quality. In this case, it’s safe to say that you can never go wrong with ePuffer’s selection of accessories! Being rechargeable is a great benefit of today’s vape pens and ecigs. 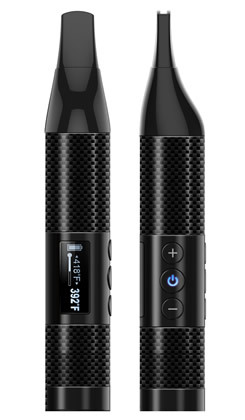 This rechargeable factor makes a vape kit more valuable than dozens of cigarette packs! Just imagine the convenience: if your mouth is itching for a quick puff, you can just activate the device. Once the battery level goes down, you can recharge it anytime! Best of all, you’re not forced to run outside to vape, or restrict yourself like regular smokers are. While most vaping kits today come with available chargers, you’re probably getting a traditional market-standard unit. There were even some instances when local chargers do not efficiently charge the unit. To avoid those kinds of products, ePuffer’s Nitecore Intellicharger can revamp your vape’s charging capability. It is capable of charging Li-ion batteries, and you can even monitor the charging progress with its built-in indicators. There’s also an extra USB port at the bottom of the charger, so you can plug in an additional device that needs extra energy. Safety is also a common issue with local chargers. Once you purchase a charger, you’re probably left wondering if it’s made of high-quality materials or if it’s fire-resistant. With the Nitecore charger, safety is never an issue! It’s made out of a host of synthetic and strong materials that surpass global standards. It also has a versatile mechanism that carefully adjusts the charging current depending on the battery type of your vape tube. This ensures the longevity of your charger. Having yellow teeth is something people try and avoid these days. If you’re a heavy smoker, there’s a big tendency that your teeth can become stained and yellow. Giving up traditional cigarettes can pave the way to whiter and healthier teeth, but it won’t hurt to have another product to boost such goal, right? With ePuffer’s Power Pro Teeth Whitening System, your teeth will return to their glistening potential. This teeth whitening kit utilizes a special LED technology along with a scientifically formulated gel. Unlike other LED whitening kits, the Power PRO is more advanced and up to five times more effective! While vaping won’t cause any permanent damage to your teeth, the flavored vapor can affect the enamel, so once you use the Power Pro whitening kit along with respective E-Puffer vape mods, you’ll take your vaping experience to a whole new, and cleaner level! 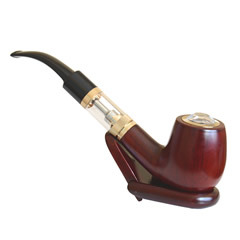 In many ways, an E-cigarette is far superior to a traditional cigarette. Every stick of e-cigarette promotes better health while balancing out your cravings. You’ll never see e-cigs being scattered all over, so its important to treat and take care of your e-sig like an investment. A great way to protect your E-Cigs is by using E-Puffer’s premium VIP leather case. Sleek and professional-looking, the ePuffer leather case is a great and safe storage option for all of your e-cigs. Do you fancy a smoke in a lazy afternoon? Just open up the case and grab one stick for your convenience. You can also use the leather case to store your other small belongings, such as credit cards, hand sanitizers, small perfumes, IDs, and even pocket money. The ePuffer leather case is made of high-quality materials to ensure that your e-cigs and other accessories are kept safe. The nylon zipper of the case also adds a dash of ‘simple elegance and convenience.’ You can purchase the VIP leather case for $ 24.95. Travelling and vaping are two activities which can lessen your stress. However, there are common instances when your vaporizer runs out of battery and you forgot to bring your charger along. Now, such simple mishaps can hinder your vaping experience. To prevent this from happening, make sure that you have a universal charger and adapter. ePuffer can happily provide you this handy product. 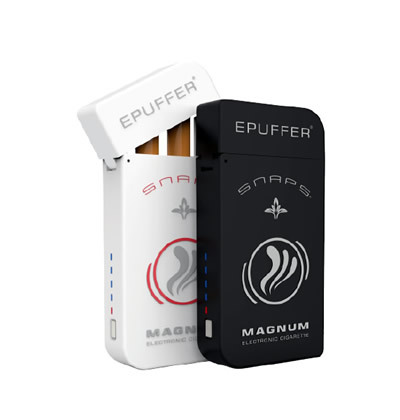 ePuffer’s universal AC charger is well-suited to charge most vaporizers and other similar products. Unlike other cheap chargers in the market, this simple charger has a reliable LED display to notify you that the unit is charging properly. There’s also a safety-release button to ensure a safe charging process all the time. In this way, your devices are secured. The charger is also portable, so you can fit it in any bags and conventional travel pouches. ePuffer offers a 1-year warranty on the USB charger. You can buy it for the convenient price of $ 9.95. Convenience is a consistent promise of ePuffer to you. This dual port charger also operates on USB technology, so you can use it virtually anywhere—even in your car. Since it has a dual port function, you can charge up to two devices simultaneously. The transfer of voltage is continuous so you can expect an uninterrupted charging process. In addition, your devices are protected with the charger’s built-in circuit protection system. Just like the universal travel charger, you can purchase this product for $ 9.95. Leather is never out of style. This statement also rings true for your handy e-cigarettes. Instead of putting them in pockets and risk them being lost, why not secure them with convenient travel pouches? ePuffer always ensures the safety of your product; at the same time, the company keeps a firm focus on style. Each e-cig pouch is carefully made of high-quality leather, so you can be sure that it will stand the test of time. The most popular color option is black. This color is a perfect fit since your e-cigs will stand out and you can conveniently grab them. If you don’t fancy black, there are other choices as well. Brown is another good choice, especially if you are always on the go. For lady vapers out there, the pink leather pouch is a fine match! All of these stylish leathers can be purchased for $ 7.95 each. A whitening pen is a fine addition to your growing vape arsenal. It’s a good habit to use a whitening pen after every vaping session. ePuffer offers a whitening pen from the all-popular iWantTeeth Series. This whitening pen can be used easily, and you can easily see the results in just minutes. To use the pen, simply put thin layers in your teeth and let it dry. If you even want improved effects, you can use it consecutively before having a night’s rest. The whitening pen is approved by dentists and is capable of up to 10 treatments. By using the pen, you can save hundreds of dollars compared to long-winded medical procedures. Plus, you can complete the method at the convenience of your home. The pen is also compact, so you can bring it anywhere you want to go—perfect for those long vacations! It’s available in the E-Puffer website for $ 15.95. A common observable trend among vapers is the habit of attaching their e-cigs and vape pens in lanyards. While there are common lanyards available in the market today, it’s always good to step up your game and go for high-quality ones. ePuffer’s genuine lanyard can definitely match your preference. Once your trusty vaporizer is attached to your lanyard, vaping will be more convenient. The leather lanyard costs $ 9.95.